Tioga road lodges appeared along the Old Sierra wagon trail for the workers. 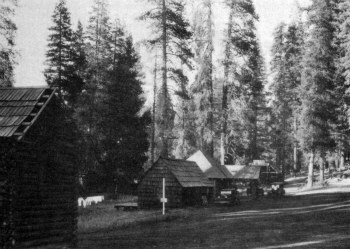 The earliest Tioga Road Lodges appeared along the old Great Sierra Wagon Road to provide food and housing for the road builders. Over time these enterprises became quite profitable as people began to traverse Yosemite's High Country along the route. Since its establishment in the early 1880's, H. R. Crocker operated "Crocker's Sierra Resort", a stage-stop on the Big Oak Flat Road, just west of the present park boundary. Mr. Crocker and his young wife provided excellent board, clean rooms and diverse entertainment for the Chinese Camp and Yosemite Stage Company passengers, private travelers, campers, and even Indians from a nearby Miwok Rancheria. Crocker's Station became the construction headquarters during the building of the Great Sierra Wagon Road and later provided a comfortable stopping place for those who would use the road. Although sold by Crocker's widow in 1910, the station continued to serve Yosemite bound travelers until 1920, when several of the buildings were moved from their original locations and the others were allowed to decay. Earlier, ten miles northeast of what would become Crocker's camp, Jeremiah Hodgdon built Yosemite's only two story log cabin in 1879. 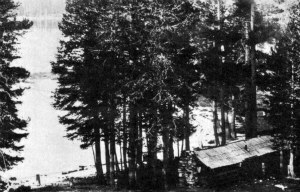 The cabin would later become part of the Aspen Valley Lodge complex and also served as housing for the builders of the Great Sierra Wagon Road. It provided shelter for Army Troopers patrolling Yosemite National Park, and in the 1920's it became the center of a busy tourist stop on the Tioga Road. The establishment continued to grow and by 1931 the Aspen Valley Lodge complex included the lodge itself, a rooming house, store, gasoline station, auto repair garage, laundry, and restaurant. The old original two story log Hodgdon homestead cabin was now being used as a storehouse. The Parks entrance and ranger station were conveniently located nearby. The next stop for travelers along the route heading east on the old Tioga road was White Wolf. 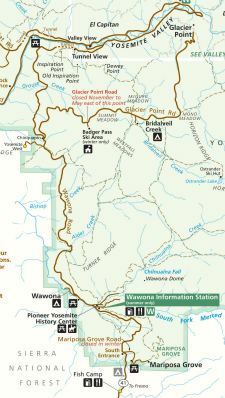 The site was said to be named by two brothers named Meyer, after an Indian chieftain whom they had found camping there. The settlement at White Wolf had a humble start as crude shelters to house the Meyer boys and their ranch hands. Little is known of the early days at White Wolf, but a later report was found from 1930 stating that: "Mrs. Meyer is in charge of a believed-to-be well-paying resort." By that time the camp had grown to twelve tents, a main building and dining room, kitchen and small store, two tourist cabins, and a power plant. As with Aspen Valley, the eventual relocation of the road and drop in tourism due to World War II would bring the operation at White Wolf to a standstill. In August of 1878 an enterprising Irishman and one-time Yosemite guide named John L. Murphy homesteaded the meadows abutting the south end of Tenaya Lake and a small portion of the north shore. 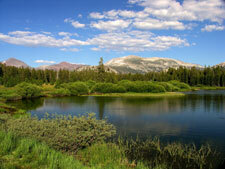 Only thirty days after arriving, he transplanted 52 brook trout from the Tuolumne River into Tenaya Lake. 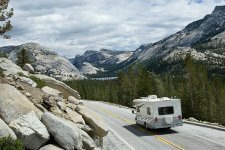 Prior to Murphy's arrival, no accommodations had ever really existed for the 20 miles between White Wolf and Tenaya Lake, though camping had always been permitted in designated spots along the road. In 1881, Archie Leonard, (who would later become one of Yosemite's first rangers), began running his ten-horse saddle train between Yosemite Valley high into the mountains to Lundy with a stop at Murphy's. The Murphy business flourished and writers proclaimed the virtues of the trip and its accommodations. In 1882 a correspondent for the Bodie Daily Free Press paid a visit to Murphy's, and reported that “the lake is swarming with fish, some already two feet in length." Another reporter raved on, saying..."Lake Tenaya is destined to become a watering place of note, and Murphy's is a place where good accommodations will be found, where the scenery is particularly grand, picturesque and beautiful, and the trout are abundant." "The business of accommodating travelers at Tennayah has not yet reached sufficient dimensions to warrant the establishment of a fully modernized hotel. Mr. Murphy has maintained a 'stopping place' that will be found quite satisfactory to all comers who are not excessively hard to please, and that may have a more piquant interest to persons to whom the shifts and devices of mountain life are matters of some novelty." From 1890 to 1916 nothing further is known of Murphy's operation. It was in that year that the Desmond Park Company set up a tourist camp on the site. When the Yosemite Park and Curry Company took over from Desmond's, the Tenaya operation was closed in favor of a more isolated location at May Lake. And another of the High Sierra Camps was established. The Tioga Road was realigned in 1937, and closure of these early pioneer facilities was assured when public use of the old road was discontinued with the outbreak of World War II. Private summer homes and a logging operation existed along the original road into the 1950s. 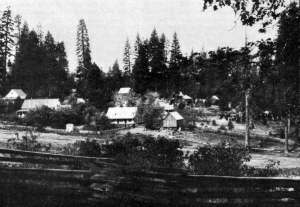 The land would eventually be acquired for Park purposes and the historical Hodgdon homestead cabin would be moved to the Pioneer History Center at Wawona. 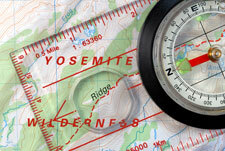 After the government purchase of the land and facilities, the Yosemite Park and Curry Company acquired the concession rights, and in 1953 other "rejuvinated" units began opening as High Sierra Camps. 1960 brought further improvement of public campgrounds and access roads by the National Park Service, and Tuolumne Meadows Lodge was opened a year later by the Desmond Park Company. For the first few years of operation of the Tioga Road as a Park route, the Park entrance station was in the Tuolumne meadows. 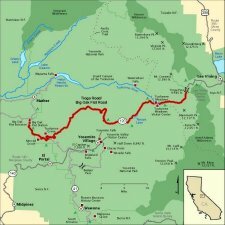 It would later be moved to Tioga Pass. "The new State road from Mono Lake to Tioga Lake was completed last summer and is reported to be a monument to the skill of the state engineers. It has a maximum grade of seven per cent, and is a good road for automobiles. The old Tioga road (not now available to autos) . . . should be repaired without delay, so as to afford one of the most wonderful trans-mountain trips in the world." Though maps in 1910 Yosemite National Park booklets show the Tioga route as a through road to the east, the Yosemite Park Superintendent warned that the "road is in wretched condition." In 1913 the California State engineer, when asked if the Tioga Road was in condition for travel, noted that the east side road is "in excellent shape". In rebuttal, Army Superintendent Major Littebrant's reply to the engineer's assessment was that the Tioga Road through Yosemite National Park was “impassable except for saddle animals”. Prior to 1913, even if the Tioga Road had been passable, autos could not have been driven legally within the national park. 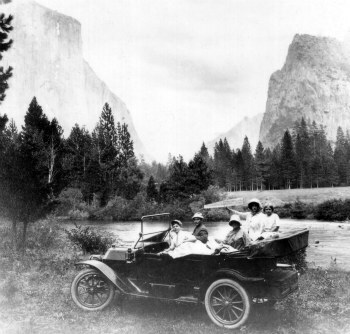 On August 16, 1913 the first auto permit was issued by Ranger F. S. Townsley, and the car was driven into the Yosemite Valley via the Coulterville Road. According to an account by Townsley, auto travel began in earnest in 1914 despite more than 60 separate auto related regulations aimed at limiting vehicular traffic in the park. Not only was one way traffic the rule, but strict schedules had to be met, and fines of 50 cents per minute were assessed the hapless driver who dawdled along the way. The top speed permitted, (on straight stretches only), was 10 miles per hour, with 6 miles per hour as the limit through all curves. There was no escaping the approaching “age of the automobile”, but roads within Yosemite remained inadequate. 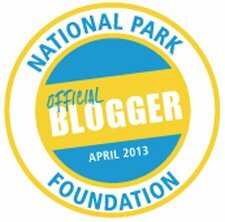 Fortunately the right man for the job of park modernization would soon become the first Director of the Park Service. Visionary Stephen Mather quickly recognized that facilitating travel within the parks by automobile would grow increasingly important as more people began to drive. He was presented with a unique opportunity to jump start visitation to Yosemite, and the modernization of the Old Tioga Road was the key to it all! To return to the Home Page from Tioga Road Lodges please click here.